I used to love watching the Back To The Future movies in the late 1980's. 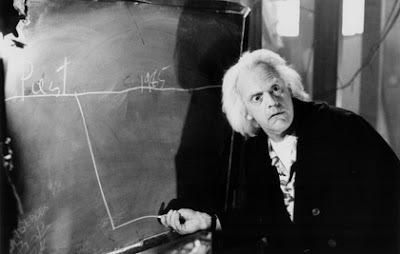 In the second movie Doc drew up the alternate timeline on the chalkboard to explain to Marty how they had entered a parallel universe. 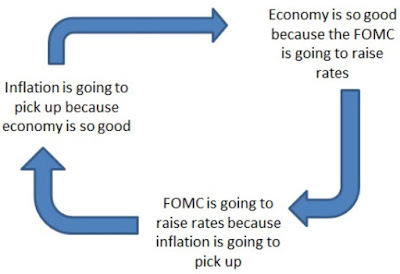 Thinking about the financial markets today I feel as if we live within an alternate reality. This new parallel world began in early 2009 with the response to the financial crisis in 2008. 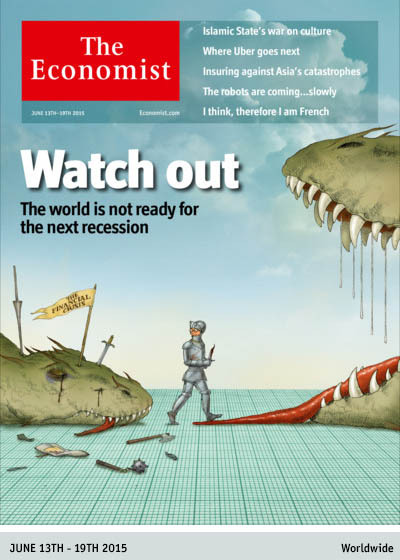 Governments and central banks unleashed the greatest fiscal and monetary response to a crisis we will most likely ever see in our lifetime (I don't think the markets will allow them to repeat their actions during the next crisis and much as they will want to). Their response essentially created a world wide panacea that moved the world from concerns over the amount of debt in the financial system and central bank's ultra loose monetary policy (which people understood caused the 2008 crisis) to a new world that ranges from mild optimism to complete euphoria. There is no concern anywhere in the world today the massive accumulation of debt since 2009 and the worldwide 0% interest QE policies will have any long-term negative impacts on either the financial system or the economy. The current period of stability, held together with duct tape, smoke and mirrors, has set the stage for a much larger period of instability. Nassim Taleb explained in his book Antifragile that some things benefit from shocks, particularly the financial system. If there is no concern your debt accumulation or speculation can go wrong the invisible hand is removed from the markets and replaced with the visible hand of central banks. 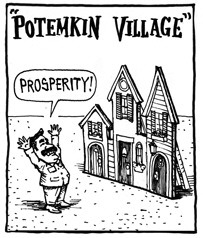 This new alternate reality we have entered looks like a strong well built economy on the surface but it is really a Potemkin village. It is a massive snowbank waiting for a snowflake to trigger an avalanche. The problems around the world today are the same as they were when we entered the 2008 crisis, but the size and magnitude of the problems have grown exponentially since early 2009. 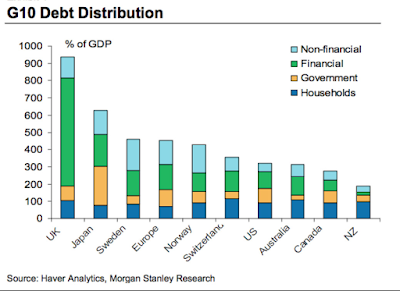 There has been no deleveraging. No government or central bank decided it would be best to take short term pain in order to build a foundation for stable long term economic growth. 1. The price of assets (stocks, real estate and bonds) are at levels that do not properly account for the true economic reality of the world. Assets are priced for explosive, long term growth globally moving forward. 2. The explosive, long term global economic growth market participants have priced in is based on the assumption individuals, corporations and governments will be able to continue to borrow excessively at ultra low interest rates moving forward. 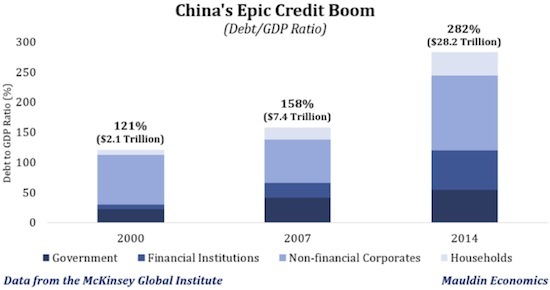 - China has accumulated enough debt since 2008 to recreate the entire U.S. financial system. 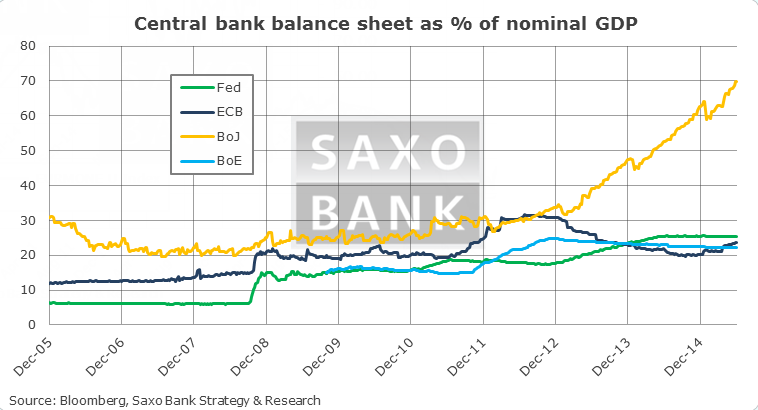 A large part of this debt is being created in the shadow banking system and used for speculative real estate projects. Over the last 9 months the stock market has entered a full blown mania, fueled in large part through margin (debt). There is no long term solution that will fix China. It needs a crisis and restructuring. - Europe is a complete basket case. The banks have spent the last three years purchasing toxic government debt with the hope they will be able to offload it to the ECB. Most of the countries are completely bankrupt with insolvent banks that have not deleveraged following the 2008 crisis. There is no long term solution that will fix Europe. It needs a crisis and restructuring. - The BRICS (Brazil, Russia, India, China, South Africa) have grown their dollar denominated debts from $6 trillion in 2009 to over $9 trillion today. If the dollar continues to strengthen against their currencies it makes the debt burden unmanageable for borrowers. 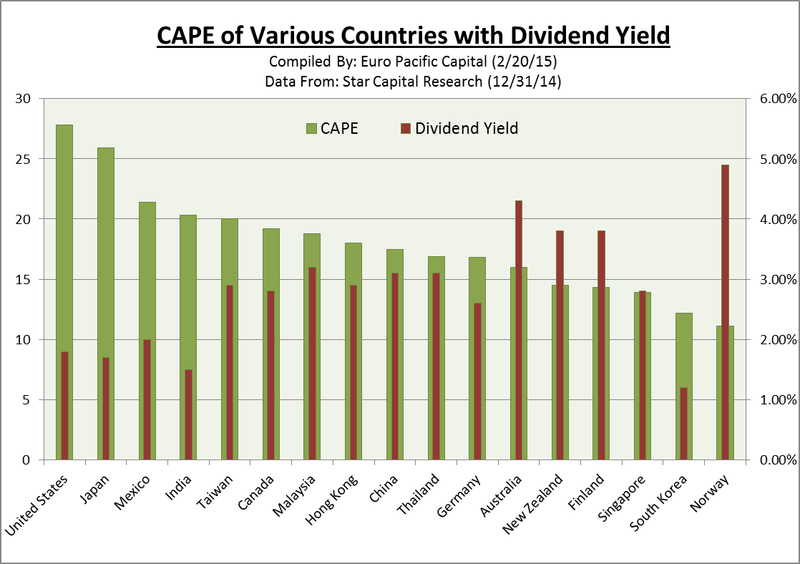 This can trigger a currency crisis from anyone of these countries if the markets get nervous. This occurred with Russia last year, India in 2013, and it's happening in Turkey right now. There is no long term solution that will fix the debt problem in the emerging markets. They need a crisis and restructuring. - Canada, Australia and Hong Kong are on the precipice of major real estate disasters. Low interest rates combined with the confidence prices will always continue to rise has pushed prices into the stratosphere. As with the U.S. entering 2007, their private debt to GDP ratios have surged, and if prices stop rising and begin moving into reverse there will be a rush for the exits; particularly in the larger cities. The impact on their banking systems and economies (which have become largely dependent on real estate for growth) will be enormous. There is no long term solution that will fix the real estate bubbles. They need a crisis and restructuring. 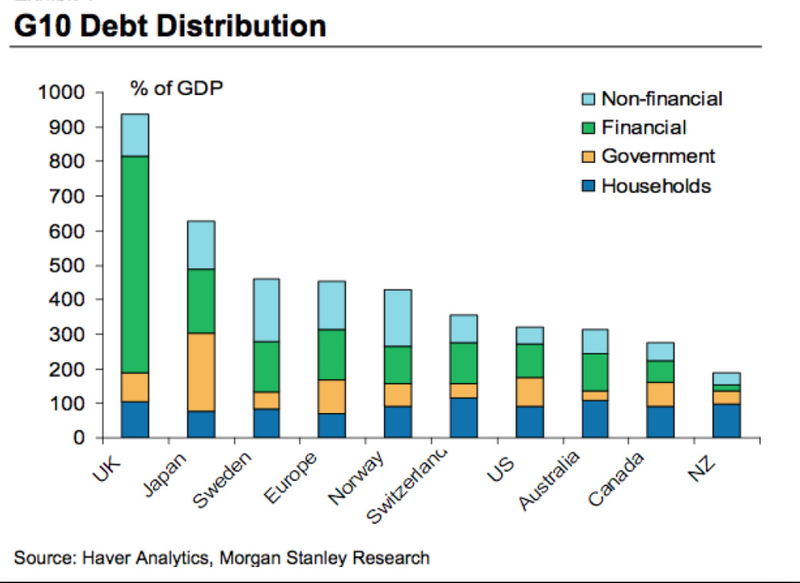 - The U.K.'s total debt burden in relation to their GDP is the worst in the world. This is due in large part to the enormous size of their banks. If their bank's balance sheets get in trouble (there is currently a massive real estate bubble in London), the government will be unable to nationalize the entire banking system. It will be like standing on the beach with a bucket hoping to catch a tsunami approaching the coast line. When you factor in the off balance sheet derivatives, well, it's impossible to even create an analogy to explain the size of the problem. There is no long term solution that will fix the London real estate bubble or massive bank debt problem. They need a crisis and restructuring. - Japan is facing a debt crisis and a currency crisis. Their government debt has surpassed 250% of GDP and the yields on the debt are at ridiculously low levels (the 10 year yield recently crossed below 0.20%). Either the Japanese yen will continue to fall, yields on their government debt will begin to rise, or both. 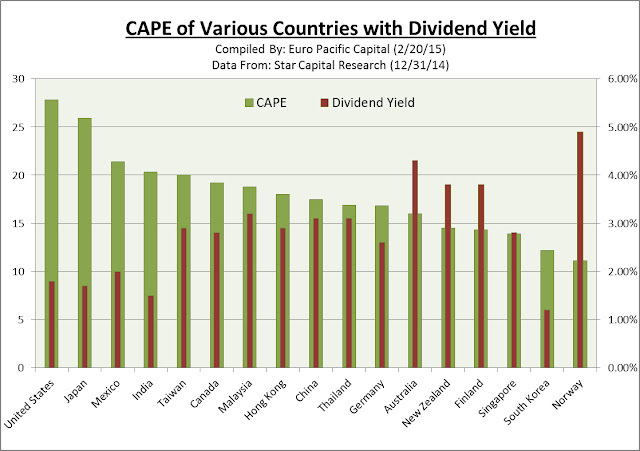 When yields rise it will overwhelm the government's ability to manage the interest payments. Look for the yen to reach unimaginable lows before their central bank lets rates rise. There is no long term solution that will fix their debt problem. They need a crisis and restructuring. The United States currently has the most expensive stock market in the world. Prices have been fueled by record margin (debt) and stock buybacks from corporations, many of which have used debt (because of artificially ultra low interest rates) to purchase their own stocks. 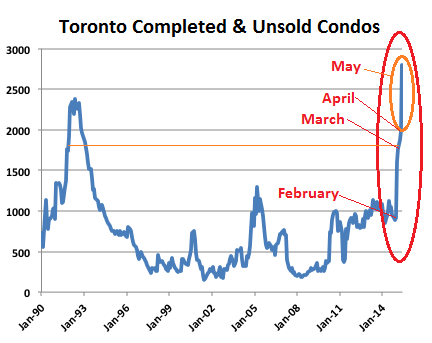 Real estate prices have returned back to or have crossed above pre-bubble highs. 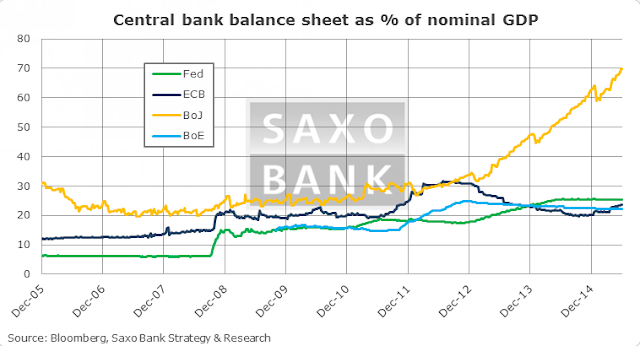 Prices have been been fueled by speculative euphoria, foreign/institutional buying and artificially low interest rates. Municipals like Illinois are on the precipice of bankruptcy. U.S. banks are larger today than they were before the 2008 crisis. There is no long term solution that will fix the U.S. debt problem. They need a crisis and restructuring. 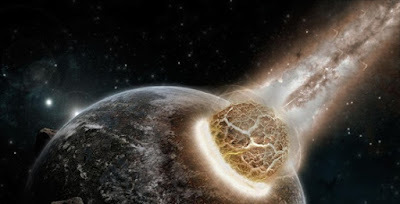 When confidence is finally removed from the aura surrounding central banks and governments there will be a dislocation in the financial markets that will feel like a big bang meteor struck the earth. As markets continue to become more frothy and filled with euphoria as an investor you should become more nervous. The tranquility washing over debt and equity markets around the world is creating a fragility under the surface that will be impossible to contain when it begins to crack. Andreeson Horowitz, the rock star name in Venture Capital (VC) funding in Silicon Valley, put together the following slide show presentation this week showing why the tech sector today does not compare to the bubble years of 1999-2000. I agree there is no true bubble in technology today but there is certainly excessive froth. The main argument you hear for technology (included in the presentation) is that technology stocks make up a much smaller percentage of the overall stock market capitalization than they did in 2000. This is true, but it's because the entire market today is ultra expensive; the median P/E ratio within the S&P 500 today is higher than it was at the peak of the mania in 2000. In other words, there is not one sector (like technology) in a mega bubble skewing the total P/E ratio of the U.S. stock market higher, all the sectors are expensive together. The big difference with today's technology market and the one in 2000 is the lack of participation in the IPO market. Due to regulations that were put in place following the 2000 collapse it is much harder today to take a company public. Since there are oceans of capital in the private market looking to enter the VC space, companies can name their price on funding rounds and don't need to bother with the public markets. In other words, the majority of the excessive froth is in the private tech sector this time around instead of the public sector. Andreeson Horowitz admits this (vaguely) in the presentation, and this topic went center stage a few months ago when Mark Cuban discussed it in his blog, see Mark Cuban On The Lack Of Liquidity In Technology & Real Estate Funds. With those disclaimers out of the way I'll leave you to the presentation, which is excellent. You can click the full screen button on the top right to enlarge. Excellent presentation below from Russell Napier, which focuses heavily on the history of financial markets and how they relate to where we are today. 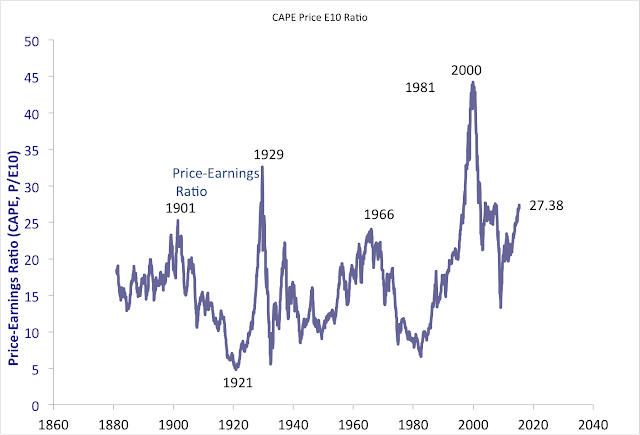 Napier is one of the brightest minds in finance and his analysis is usually only available to institutional investors. For a complete view of his slideshow during the presentation click here.